I almost forgot that every company needs an official shoe. 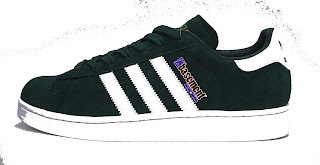 It just so happens ours is the new black suede "Basement" Adidas. Keep an eye out at major retailers it will be available to purchase this fall.